Few Americans stop to consider that the sweet fruit they slice on their cereal each morning may be a product of bitter conflict. 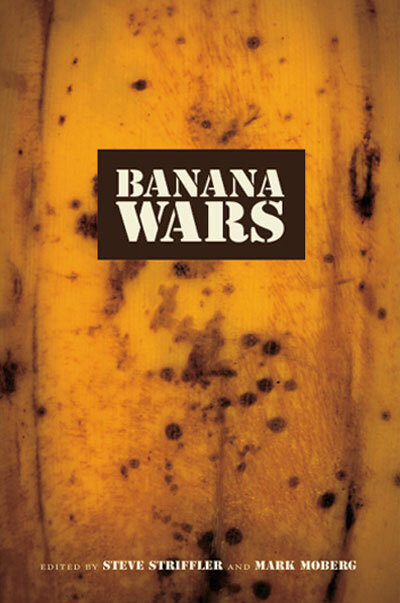 “Banana Wars,” co-edited by anthropology professor Steve Striffler and Mark Moberg of the University of South Alabama, examines the history of the banana industry and how America’s taste for this appealing fruit fueled social strife, peasant uprisings and imperialist production tactics in Central and South America. Essays from experts in sociology, anthropology, history, economics and geography offer an overview of banana cultivation and export over the last century, focusing on the giant American and European corporations – United Fruit (Chiquita) and Standard Fruit (Dole) – that held near monopolies on banana production in the Western Hemisphere. “Banana Wars” documents the struggles over territory, labor rights, government sanctions and crop diseases that plagued these plantations and chronicles corporate agriculture’s eventual retreat from the region.